Marine species carried by the ships’ ballast waters are a potentially serious environmental problem. 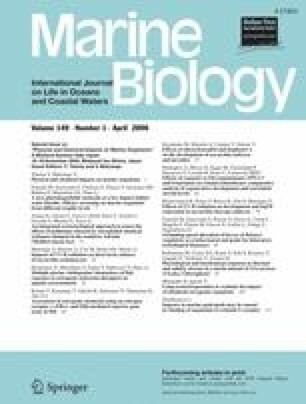 Many strategies are being adopted to minimize the transfer of invasive or pathogenic marine species between different aquatic ecosystems. This problem is often addressed by using biocides for ballast water treatment; however, the biocide could be dangerous to native organisms once the ballast water is discharged. Chemical treatments such as chlorination and addition of glutaraldehyde could cause problems related to toxicity and application costs. The search for new effective molecules with a low environmental impact is pressing. This paper presents data from a preliminary efficacy screening of a promising molecule derived from alkylated naphtoquinones on a battery of ballast water model organisms. Results show that this new molecule is very effective in the absence of light and is extremely photodegradable (half-life <6 h). It can thus be easily degraded when released in the environment. Physical and Chemical Impacts on Marine Organisms, a Bilateral Seminar Italy-Japan held in November 2004. We thank Vanetta S.p.A. Milano for the financial support.